Welcome to the Largest Buy Here Pay Here Auto Dealership in Mesa, Arizona offering Used Cars to Those with Poor Credit, Bad Credit or No Credit. Visit the Premier Buy Here Pay Here (BHPH) Used Car Dealership in Mesa, Arizona. 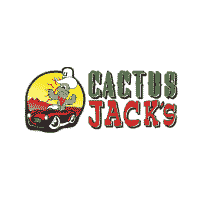 Cactus Jack's Auto is the largest Buy Here Pay Here Auto Used Car Dealership in Mesa, AZ. So if you’re looking for a used car and have poor credit, bad credit or no credit in Mesa, AZ we’ll get you into the car of your dreams! At CactusJacksAuto.com we strive to maintain a complete inventory of new Acura, BMW, Chevrolet, Ford, Hyundai, Dodge, Chrysler, Jeep, Honda, Mazda, Volkswagen vehicles. With 7 used auto dealerships in Mesa we have a wide variety of used cars, used trucks, used vans, used sedans, used AWD 4×4 pickup trucks and crossovers for you to choose from regardless of your credit score. If you are a local Mesa, AZ resident and you are looking for instant used car financing, then you have come to the right spot. We understand that some Phoenix, AZ residents are having a tough time getting approval for a used car from traditional dealers, however here at Cactus Jack's Auto; we are not a traditional dealer. Cactus Jack's Auto Mesa Used Cars is located at 915 South Country Club Mesa, AZ 85210. If you are looking for the best deals on used cars, then stop by Cactus Jack's Auto Mesa Used Cars. We offer the unbeatable bottom-line prices. Our stress-free purchasing experience is part of the reason why we pride ourselves in being the best used car dealer in Mesa, Arizona. If you have poor credit, bad credit or no credit and looking for financing/loan for a used car, then you’ve come to the right place. At Cactus Jack's Auto we offer Buy Here Pay Here (BHPH) auto financing, which means that we are the bank, so getting Mesa, AZ residents approved is as easy as you filling out our 15 second credit application approval process. Let our in house auto loan specialists get you on your way into the new, used car, used truck, used van, used sedan or pickup of your dreams today. We gladly welcome Phoenix, AZ residents with bad credit to come down to one of our 7 locations to get guaranteed used car loan approval. In addition to serving local Mesa, AZ residents, we also offer used car loans and vehicle financing to residents in: Tempe, Mesa, Chandler and Gilbert, Arizona. We are the easiest place in town to purchase a vehicle. We are an A rated dealership with the Better Business Bureau. All you need to get financed is a valid license, proof of income, and proof of residence. Our down payments start at $499 down. Every vehicle we finance comes with a 6 month 6,000 mile warranty. We have been helping people here in Phoenix for 15 years get in quality vehicles with less than perfect credit. Cactus Jack's Auto is your premier Arizona used car dealer! Locate one of our dealerships, we are looking forward to serving the automotive needs of customers from Scottsdale, Mesa, Tempe, Tucson and the greater Phoenix area.